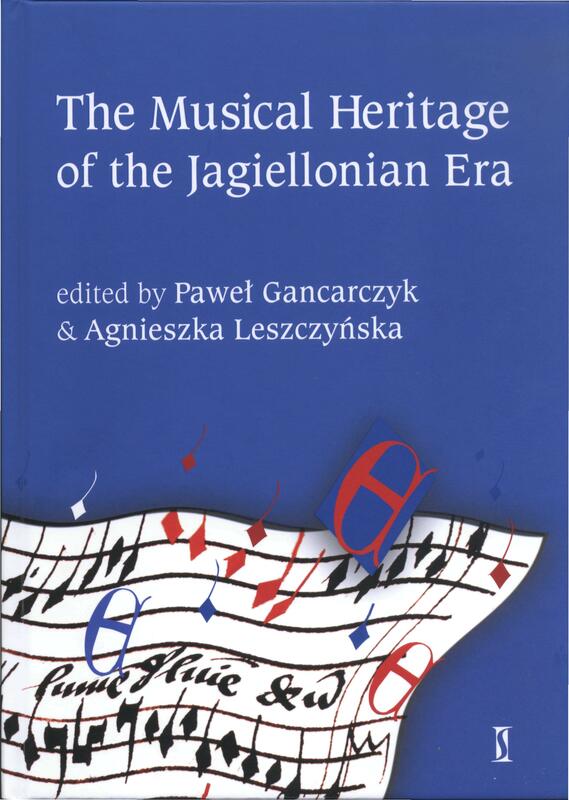 Barely had I posted about the arrival of a new collection of essays on early Polish music (New ‘Eastern European Studies’ series) than one of its editors, Paweł Gancarczyk, drew my attention to another volume that he has co-edited, with Agnieszka Leszczyńska, and which came out last year: The Musical Heritage of the Jagiellonian Era (Warsaw: Instytut Sztuki PAN, 2012). It is, unfortunately, the case that many Polish academic publications, even when specially produced in foreign-language editions, rarely escape to wider audiences. Yet this collection of twenty seven essays, nineteen of which are in English, eight in German, has a range and line-up deserving of international appreciation. It shares a few authors with The Musical Culture of Silesia before 1742 (see preceding post) but it has a broader geographical and musical reach. Together, their forty eight essays are a fascinating insight by current authorities into several centuries of Poland’s musical and cultural history. • Barbara Przybyszewska-Jarmińska: An overlooked fantasia for instrumental ensemble by Francesco Maffon. GB-Och MSS Mus. 372-376 as a vestige of Paweł Działyński’s diplomatic mission to England in 1597? • Reinald Ziegler: Claudio Monteverdis Publikation einer Messe und einer Vesper 1610. Zum transfer von Kompositionstechniken im konfessionsverschiedenen Umfeld, oder: Welche kompositorischen Impulse gingen von einem heute als epochemachend empfundenen Werk aus? • Teresa Krukowska: Wie europäisch war des musikalische Repertoire der polnischen evangelischen Kantonalien im 16. Jh. und wie europäisch ist es heute? The postwoman’s just delivered the first volume in a new series, ‘Eastern European Studies in Musicology’. It’s a collaboration between the University of Wrocław and the German publisher Peter Lang, under the general editorship of Maciej Gołąb (Wrocław). I should declare an interest in so far as I am on the Editorial Board, along with colleagues from Brno, Vilnius, Lviv, Moscow and Budapest. The series promises to bring not only new perspectives on music from this wide geo-cultural area but also the writings of a host of authors to the attention of a broader public. This new volume sets the benchmark. 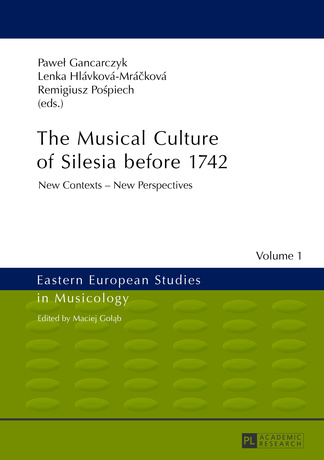 The Musical Culture of Silesia before 1742 contains twenty one essays under the editorship of Paweł Gancarczyk (Warsaw), Lenka Hlávková-Mráčková (Prague) and Remigiusz Pośpiech (Wrocław). Why the specific date, 1742? This was the year that Silesia came under Prussian rule. Prior to that, it had been subject to centuries of shifting political and cultural influences (which of course did not stop then). The wonderfully varied contents of this first volume reflect this history. Sixteen of the essays are in English, the remaining five in German. There are plentiful illustrations, an index of people mentioned in the essays, but no author biographies except academic affiliations at the top of their contributions. • Jaap van Benthem (Utrecht): Die Saganer Stimmbücher (Das Glogauer Liederbuch): eine unbeachtete Quelle für Johannes Tourout? • Marc Niubo (Prague): Bernard Artophaeus and Bohuslav Matĕj Černohorský. Casual Examples of Czech Music in Baroque Silesia or the Last Traces of Music by Minorities in Wrocław? • Martina Šárovcová (Prague): Choral Books from the Observant Franciscan Monastery in Wrocław from the End of the 17th Century.